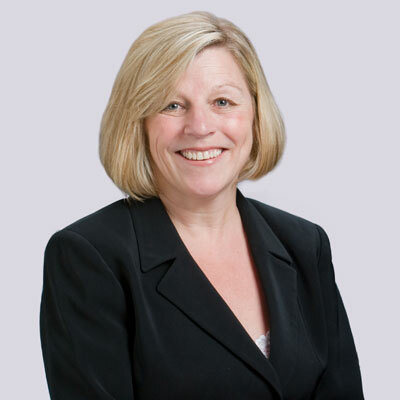 Kathy Smith, senior vice president of services and education, brought her deep expertise in implementations, project management and relationship management to ConnectWise in 2009. During her tenure with the company, she has built a team of more than 100 consultants who provide online educational material, training initiatives, implementations, 1-on-1 consulting, and much more. She also has responsibility for a team of more than 200 colleagues who deliver industry-leading support services to all ConnectWise partners. Prior to joining ConnectWise, Kathy provided leadership, project management, and process improvement to help growing banks and credit unions successfully accomplish their high-risk technology projects. Her professional career spans 35 years and includes positions as a senior consultant with Next Step International and as director of consulting for Aurum Technology (later acquired by Fidelity National). In addition to a bachelor's degree in business administration from Northwest Florida State College, Kathy has earned additional certifications from the American Institute of Banking. She lives in Tampa with her husband. She enjoys attending sporting events as well as outdoor activities such as jogging and kayaking. One of our primary goals is working closely with vendors who can provide first level of support, product implementations and consulting. This will expand our company's ecosystem, and allow ConnectWise to grow and scale even faster as we bring on more partners. Clara Reynolds, CEO at the Crisis Center of Tampa Bay, has succeeded in life despite severe childhood challenges. She has unselfishly dedicated her life to helping those in need and to those who just need a helping hand. Stay focused on being a well-rounded individual by balancing education, social engagement and philanthropy work. Also, treat people the way you want to be treated and accept them for who they are. I'd like to improve my understanding of artificial intelligence so that, as a leader, I can serve as a source of knowledge for my team. This will allow them to better embrace the rapid advancements in and adoption of artificial intelligence instead of being fearful of the implications. I believe that understanding leads to being excited instead of being fearful. Leaders Eat Last by Simon Sinek. The author shares ways leaders can create an environment where almost everyone is inspired to go to work, feels trusted and valued during the day, and returns home fulfilled. By building a Circle of Safety that separates the security inside the team from the challenges outside, leaders can build stable, adaptive, confident teams where everyone feels the common energy and seizes big opportunities. When it matters, most leaders who are willing to eat last are rewarded with deeply loyal colleagues who will stop at nothing to advance their leader's vision and their organization's interests.